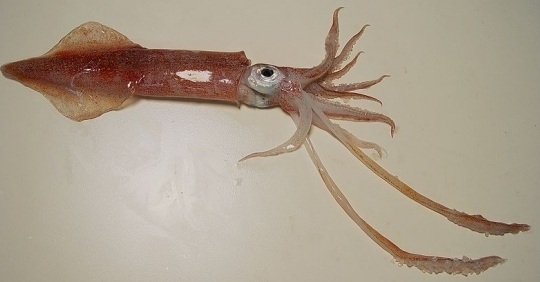 This is an example of the squid that was studied in the experiment being discussed. In other words, DNA carries a set of “recipes” that tell your cells how to make the proteins they need to make. That recipe is copied by another molecule, RNA, and the copy is transported out of the nucleus of the cell to a ribosome, where the copy is then translated into a protein. At that time in history, biologists thought that there was one gene for every protein. As scientists learned more about the marvelous design of DNA, they found that the idea of one gene producing one protein was far too simplistic. In plants and animals (and many microscopic organisms as well), the genes are interrupted by stretches of DNA called introns. At first, geneticists lumped introns into the category of junk DNA, an evolution-inspired idea that couldn’t be more incorrect (see here, here, here, and here, for example). However, molecular biologists eventually found out that the introns are an integral part of a multi-layered data storage system that allows a single gene to code for up to tens of thousands of different proteins through a process called alternative splicing. Essentially, the introns divide a gene into several “modules of information.” The cell can chop up the RNA copy and splice those modules together in different ways. Each different way the modules are spliced produces a different protein. Once alternative splicing was figured out, the idea of one gene producing one protein was discarded. One gene can, in fact, produce lots and lots of different proteins. However, even in alternative splicing, the information contained in the DNA is preserved. Each individual module of information codes for a specific part of a protein, and if you look at that specific part of the protein, it is made exactly the way that module of information says it should be made. Well, the octopus study I wrote about nearly three years ago shows that’s not always true. Some organisms can edit their RNA to make a final protein that is actually different from what the modules of information in the gene actually specify! Why would an organism want to do that? In the case of the octopus I discussed nearly three years ago, it was so that the creature could survive in very cold waters. Its DNA specifies a series of proteins that work best in warmer waters. Using those proteins, the octopus wouldn’t survive well in cold waters. To fix this problem, the octopus copies the gene using RNA, does alternative splicing where necessary, and then edits the result to make the proteins work better in cold water! This process is called RNA editing. How does the octopus “know” to do RNA editing? As far as I can tell, we have no idea. We only know that it does. But how common is this? Well, a study I read recently gives us some clues about that. First, the study says that all eumetazoans (a group that contains most animals) express the chemicals necessary to do RNA editing. Thus, it is at least possible that the vast majority of animals have the ability to change the products of their genes. It then gives references to several studies that have seen small amounts of RNA editing in certain mammals, like mice. However, it then references another study that shows Drosophila (commonly called “fruit flies”) edit up to 3% of all the RNA they produce! An equally intriguing question is why squid edit to this extent? The process clearly creates tremendous protein diversity, and this may in part explain the behavioral sophistication of these complex invertebrates…The large number of sites in squid suggests that editing is well positioned to respond to environmental variation. Most model organisms studied so far are mammals which are homeotherms. Future studies of more diverse species are needed to reveal the extent to which cold-blooded organisms might utilize extensive editing to respond to temperature changes and other environmental variables. In other words, the RNA editing might allow them to participate in more complex behaviors, and it might help them adapt to temperature changes and other environmental changes, as was seen in the octopus study from three years ago. This study seems to indicate that my expectation was correct. Wicked interesting. It sounds like calling an auduble in football. The coach calls a play, then the QB reads the defense and calls and audible mid-formation to change the formation. 1) Is that a decent analogy, as red-neck as it may be? 2) If so, the DNA would be the coach, what mechanism would be the “QB” and change the formation? Is there some sort of feedback mechanism from which the RNA ‘decides’ to make the change? 3) How does this differ from epigenetics? It’s not a bad analogy, Tim. In that analogy, the QB is probably some chemical reaction that is caused by an outside stimulus, such as a change in temperature. One thing to note is that the RNA doesn’t change itself. There are chemicals referred to as “adenosine deaminases that act on RNA” (ADARs) that do the actual editing. So some stimulus must get them going. That’s a great question about epigenetics. In epigenetics, the DNA is changed, but the gene is not. Remember, a gene is a sequence of nucleotide bases. In epigenetics, that’s not altered at all. However, there are other parts of the DNA that are changed. For example, if a methyl group (CH3) is added to DNA at the right place, it can turn off a gene. The gene itself is not changed. It is just switched off. If the methyl group is removed, the gene turns on again. That kind of epigenetic change doesn’t alter the protein in any way. It simply changes whether or not the protein is actually made. Other epigenetic changes can slow down or speed up the protein production. Once again, however, the protein itself is not different from what the DNA says it should be. With RNA editing, the DNA is never changed in any way, but the protein that is produced from the DNA is changed from what the DNA says it should be. There was a paper by the Max-Plank-Institute in Germany on that very topic. They used snails though in a potential toxic environment. I think it was from the early 2000s…in case you are interested i would recommend you to search for it. At least to me it was very interesting at the time. What i would like to know: What would be surprising for a creationist to find in biology? Thanks for mentioning that, Yannick. I’ll try to find the study. There are many things that would be surprising to a creationist. For example, if the majority of DNA in the human genome were junk, that would be very surprising. If a series of fossils showed a clear evolutionary path from one fundamental kind of organism to another, that would be very surprising. If mutations could be shown to produce truly novel genes, that would also be surprising. Those are just three examples. Hasnt the ENCODE-Project already disproven the concept of Junk DNA like 2 years ago? But i dont want to go into that discussion again. Although i think all your examples are deffinatly there, i also know that i am probably not able to demonstrate it to your satisfaction…although i am wondering if thats even possible. It is true that stretches of supposed junk DNA have been removed from mice with no apparent ill effects. However, that only indicates the DNA is not used in the conditions experienced by those mice. This was the beauty of the ENCODE project. It looked at a variety of cell types under a variety of conditions. That was a much more robust test. Obviously, I disagree with you when it comes to the surprises I listed. They have definitely not been demonstrated. Yeah …as i said not to your satisfaction. It’s not a question of my satisfaction, Yannick. It’s a question of whether or not such things have been demonstrated, and they clearly have not. The “10 Papers” talkorigins points to regarding mutations don’t provide a single example of a novel protein being produced by mutation. One of those ten mutations papers, for example, is the Lenski one where bacteria developed the ability to digest citrate in an oxygen atmosphere. We know that was the result of a mutation that caused a loss of regulatory control. That is, in fact, the opposite of what talkorigins claims the paper shows! I think talkorigins counts on most of its readers not having any experience in biology. That way, they can list references that don’t support their claim, and most of their readers won’t know. I dont see why the producing of a new Protein would be necessary for Evolution but if thats what you are looking for i am wondering if you are willing to change your mind if i could provide you with an example of this. Anyways. I didnt found trueorigin.org very compelling…i mean see for example that they are speaking of “evolutionary age of the earth”…never ever had Evolution anything to do with the age of the earth. Neo-Darwinian Evolution is out of order since the 1950s and was replaced by Synthetic Evolutionary Theory by then. Also that notion of a (in lack of a better term) “Conspiracy” by ” so called “Experts” where i can only guess they mean biologists(? ), Mainstream media (whoever they mean with that) and Politics, seems more rediculus than anything else. But thats just me…as i said i dont think i will be able to convince you. Yannick, I am not sure why you think I wouldn’t change my mind given new evidence. I have done so in the past. Indeed, I believed in an old earth until I looked at the evidence. The evidence caused me to change my mind. The same can be said about nuclear processes, chemical processes, etc. Evolution (in the grand sense – from flagellate to philosopher) depends not just on producing new proteins. Mutations can do that. Generally, the new protein is less efficient than the old one, either that or it changes activity to become more or less specialized. What evolution requires is the production of thousands of novel proteins – proteins whose functions are unlike any other protein produced by the genome. This is necessary, because proteins are the chemical building blocks of life. If new biological structures are to emerge as a result of the evolutionary process, they must be the result of novel proteins being produced in the genome. I am not really surprised that you don’t find trueorigin.org compelling. However, I think you would if you learned more about evolution. For example, evolution has a lot to do with the age of the earth. Those who believe evolution in the flagellate-to-philosopher sense are forced to believe in an old earth. Thus, they cannot even consider any evidence that points to a young earth, as it would destroy their creation myth. In addition, you don’t seem to know the terminology very well. Neo-Darwinism is, in fact, a common way to refer to the Modern Synthesis. The more you learn about evolution, the more compelling serious scientific discussion of the subject, such as what is found at trueorigin.org, will become. I think you have to learn more about Evolution. For example Evolution is not an Origins or Creationstory. Evolution is the way of how we got the Biodiversity. I think what you mean is Abiogenesis, or whatever Modell they currently are working on. Thats not realy my field. Depends what you mean for an Old Earth. For example considering our current estimates for the age of the universe everything younger than 5 Billion Years seems quite young to me. You see dating methods are not my Specialty. But i am aware that the People who date the age of the earth are very well aware of how reliable those methods are. So much they can tell you to a Percentage-Value how reliable those Numbers are. Thats pretty compelling to me. Yannick, you definitely need to learn more about evolution, because it most certainly is a creation myth. After all, it supposedly tells us how we (and all the other organisms we see) came into being. Abiogenesis is just one suggestion as to how the original life form that started it all got here. Panspermia is another. Regardless of how that supposedly happened, evolution tells us how we came into being from that original life form. Thus, it most certainly is a creation myth. I can tell dating isn’t your specialty, because you don’t understand the error ranges reported on those dates. They have nothing to do with how accurate the dates are. They simply tell you the error associated with the detection of whatever is being used for the dating. For example, Zashu and his colleagues dated several diamonds to be 6.0 ± 0.3 billion years old. That error range is clearly wrong, even in an evolutionary wordview, since the earth is supposedly “only” 4.6 billion years old. The error range just tells you the error associated with detecting the potassium and argon used in the dating process (Zashu, S., Ozima, M. and Nitoh, O., K-Ar Isochron Dating of Zaire Cubic Diamonds, Nature, 323:710-712, 1986). It has nothing to do with the reliability of the date itself. Likewise, this study discusses carbon-14 dates for fossil ammonites and wood that are supposed to be 112-120 million years old by evolutionary standards. However, the fossils date as being 36,400±350 years old, 48,710±930 years old, 32,780±230 years old, and 42,390±510 years old. Clearly, the error ranges have nothing to do with the validity of the dates. Once again, they have to do only with the errors associated with the detection of the carbon-14. These are only two of many such examples. It pays to actually study these things rather than just taking someone’s word for it! The experimental data show good linear correlations in both the 40Ar–K and 40Ar/36Ar–K/36Ar diagrams. These correlations must reflect either an isochron-type relationship or the trapping of an unknown component in the diamonds. In the former case the anomalously high age (6.0 Gyr) casts doubt on the assumption of uniformity in the isotopic abundance of 40K. Notice that the second sentence gives two options, the first of which is the one that you cite. By not referring to the second option you give the erroneous impression that the experimenters uncovered an irrefutable error. The authors claim no such thing. The second option, trapping of an unknown component, is certainly not unknown in the field of geology and explicitly stating it as a possible source of error is the honest way to present results. This practice points the way for further investigation in order to resolve a perceived problem. Question: A sample that is more than fifty thousand years old shouldn’t have any measurable C-14. Coal, oil, and natural gas are supposed to be millions of years old; yet creationists say that some of them contain measurable amounts of C-14, enough to give them C-14 ages in the tens of thousands of years. How do you explain this? Cosmic rays form beta radiation all the time; this is the radiation that turns N-14 to C-14 in the first place. K-40 decay also forms plenty of beta radiation. Stearns, Carroll, and Clark point out that “. . . this isotope [K-40] accounts for a large part of the normal background radiation that can be detected on the earth’s surface” (p. 84). This radiation cannot be totally eliminated from the laboratory, so one could probably get a “radiocarbon” date of fifty thousand years from a pure carbon-free piece of tin. However, you now know why this fact doesn’t at all invalidate radiocarbon dates of objects younger than twenty thousand years and is certainly no evidence for the notion that coals and oils might be no older than fifty thousand years. Snelling is using an improper procedure to arrive at his results. He then proceeds to explain the discrepancy in his own measurements (a 32,000-year-old earth vs. one that is 6,000 years old) by postulating a Flood to take care of excess carbon in addition to “a much stronger magnetic field” to account for a supposed lower radiocarbon production. Snelling thus requires two unverified postulates to correct for his results, whereas the scientifically accepted practice of not using C14 for objects older than 50,000 years because it falls within the error range is an undeniably more parsimonious explanation. Snelling’s study is like me attempting to measure the diameter of a hair with a twelve-inch ruler and then correcting my results by claiming that people had thicker hair in the past and that the use of 16th inch rulers has been superseded by the modern use of 10th inch rulers. Ben, the experimenters most certainly did uncover an error regarding the Zaire diamonds. Perhaps you are unaware of what they mean when they say, “The experimental data show good linear correlations in both the 40Ar–K and 40Ar/36Ar–K/36Ar diagrams.” This means that the supposedly objective standard by which isotope ratios are judged (the isochron method) indicated no contamination whatsoever. When linear correlations like that are found, it is supposed to mean that the radiometric date is reliable. Thus, had this date been consistent with the evolutionary age of the earth, it would have been accepted, period. The only reason it wasn’t accepted is that the date is inconsistent with the current view of the age of the earth. Of course, that wasn’t even my point. My point was that the experimenters gave the error related to their measurement. They said it was ± 0.3 billion years. Yannick seemed convinced by such nonsensical error estimates, and my point was simply that if such error estimates were realistic, the error on this measurement would have been at least ± 1.4 billion years. Once again, the error estimates on radiometric dates have nothing to do with the error associated with the date. They have to do only with the error associated with detection of the isotopes being used for the dating. Your quote from the NCSE is about 20 years out of date. No one does carbon dating by detecting the beta particles coming from the sample anymore. That requires a very large sample, and it is plagued by background problems. The lab in which I got my PhD (The University of Rochester’s Nuclear Structure Research Lab) pioneered the Accelerator Mass Spectrometry (AMS) technique for radiometric dating, and it has been the standard technique since the mid-1990’s. This process directly measures the ratio of isotopes, completely eliminating the background issue and making radiocarbon dates supposedly valid for up to 50 thousand years before present. Anyone even remotely familiar with the scientific literature on this topic knows that carbon-14 dates of well over 40,000 years appear routinely in the literature. For example, this study used carbon-14 dating to date archaeological material as supposedly 45,000 years old. This article discusses several carbon-14 dates with ranges from 40,000 – 50,000 years. So, of course, Snelling did not use “an improper procedure to arrive at his results.” He used the modern method of radiocarbon dating, and his results were in the accepted range for that method. Once again, the only reason to reject the dates is because they don’t agree with the evolutionary narrative. By evolutionary standards, those fossils must be older than the radiocarbon dates, so they must be rejected. The proper analogy, then, would be you trying to measure the diameter of a hair using the most precise method available (a method that is routinely used to measure hair), and then rejecting the result because it conflicts with your hypothesis on how hair is formed. My point in bringing up the Nature magazine quote was to highlight the phrase “…or the trapping of an unknown component in the diamonds.” If we expect the data to fall on an isochron that indicates an age of 4 Gyr and we get something different, we look for a source of error. The phrase indicates a possible source of contamination, though I don’t know if there was followup on this. Suppose, for example, that someone finds Obama’s immunization records dated from 1865 and prints an article stating that this implies that Obama is 105 years old barring some other explanation. If the Republicans then use this to promote a campaign claiming that a 105-year-old Obama is unfit for duty, this would be dishonest of them. They are ignoring the much more plausible scenario of clerical error or misidentification implied by the phrase “barring some other explanation.” Citing an alternate explanation for a discrepancy is prudent because a 105-year-old Obama runs counter to other data and to our inductive experience. As to the NCSE article, thank you for the clarification. I acknowledge your point on the differences between radiometric decay and AMS. But let’s discuss methodology. Carbon-14 is absorbed in plants from the atmosphere and accumulates in subsequent consumers. Upon death, C-14 decays and the ratio of C-14 to C-12 is used to determine the original age of the sample. Fossils are not organic, by definition (they are rock), and are inappropriate for use in such measurements because C-14 can be produced by other types of decay (from isotopes of Oxygen and Nitrogen, for example). An accumulation of C-14 can thus occur that has nothing to do with the original C-14 that is supposed to be the measure from which the sample’s age is inferred. In my hair analogy I suppose this would be like trying to determine when a person died from a lock of hair by using a micrometer. And in the examples you provide, I don’t see where radiocarbon dating is being used on stone. Ben, I understand that they suspect some unknown contaminant, but the only reason they suspect that is because of the result. They didn’t expect an age of 4 Gyr. As the paper says, they expected an age of about 2 Gyr. However, the reason they did the dating was that they wanted to have a direct radiometric date. Now, had they gotten any number that was consistent with their ideas on how the diamonds formed, it would have been believed, because the isochron is correct. That’s supposed to assure us that there is no contamination. The only reason they suspect the contaminant is because of the result. That’s the problem. Your analogy doesn’t work because we have multiple, accurate indications of Obama’s age. In this case, we have no accurate indications of the diamonds’ age. Indeed, the authors say that the current data related to their age is “questionable.” However, the supposedly accurate age is simply rejected, because it doesn’t align with preconceived notions. Your statements about carbon-14 dating are simply wrong. Fossils are not “inappropriate for use in such measurements.” They are routinely used in such measurements. Indeed, the measurements to which I referred in my previous comments were done on very similar samples (fossilized wood and charcoal). If you study how carbon-14 dating is done, you will learn how fossils are processed to remove the mineralization and date only the organic component. This is all very standard, and the procedure used in the Snelling report is identical to the procedure used in the two references I gave. In the end, if Snelling’s dates were consistent with the evolutionary narrative, they would be accepted. However, they aren’t, so they are rejected for no good reason. Also, please note that carbon-14 is not made through the radioactive decay of oxygen or nitrogen. Indeed, nitrogen-14 is the product in the radioactive decay of carbon-14! The main way carbon-14 is made naturally is through thermal neutron capture in the atmosphere. It can also be produced by other neutron-absorption reactions, but those are rare. Of course, these sources of carbon-14 production would affect all carbon-14 dating, not just Snelling’s results. I agree that carbon-14 dating is not very accurate. However, you are arguing that it is accurate in most cases, just not when it gives answers that are inconsistent with the evolutionary narrative. That’s a difficult position to argue scientifically. Also, please note that carbon-14 dating is never done on stone. It is done on fossils that still have an organic component, such as the ones in Snelling’s report. So, in your analogy, it is as I said before – it is like using the latest, most accurate method for measuring the width of the hair and then rejecting your result because it is inconsistent with your hypothesis on how hair is formed. Yannick, although the majority of this discussion is not my field (ie over my head) it is ironic that you insinuate Dr. Wile won’t change his mind while you come across as having little interest in learning rather attempting to discredit. Could you give even a few of the arguments made by young earth creationists? It seems to me you would only say that there is an article on talkorigins, or the majority view of the day is sufficient for you even though you have not taken the time to understand the opposing view. Gentle Herbivore? Think Again! 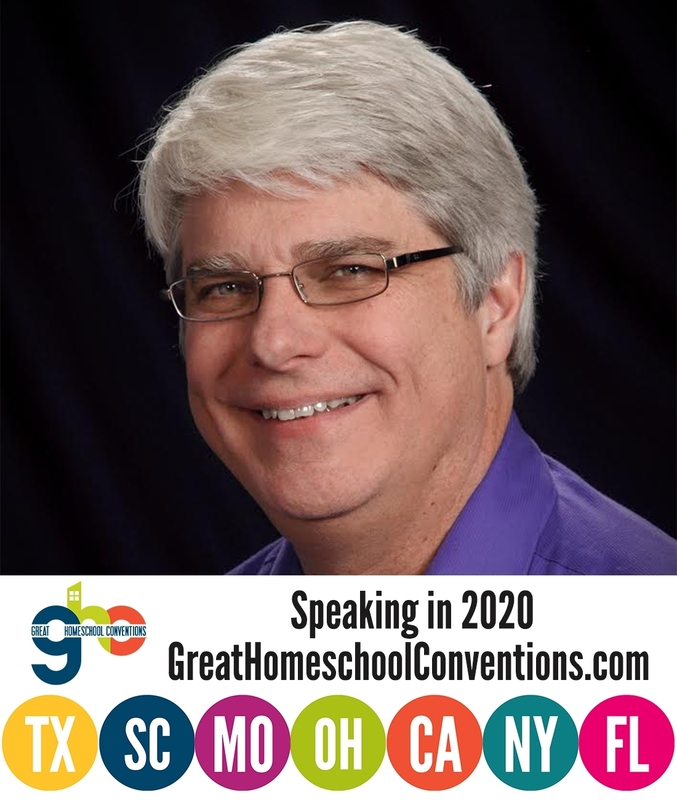 Homeschooling Promotes Intolerance? Think Again!